Forbes announced today that Royal Caribbean Cruises Ltd. has been named to the America's Best Employers for Diversity 2019. Forbes and research firm Statista surveyed 50,000 American employees in companies that have at least 1,000 employees. Survey questions focused on diversity with respect to gender, ethnicity, sexual orientation, age and ability. Other components of the ranking included gender diversity among top executives and the board of directors, and the company's proactive communication about diversity. "I am extremely pleased that Forbes has recognized Royal Caribbean as one of America's Best Employers for Diversity," said Laura Miller, SVP and Chief Human Resources Officer for Royal Caribbean Cruises Ltd. "This recognition would not be possible without our employees. 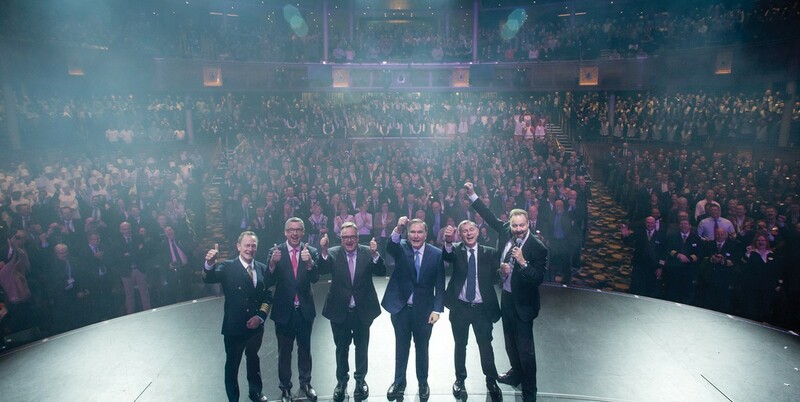 As one of the world's largest cruise companies, we are committed to our over 75,000 talented and devoted employees representing nearly 200 countries. We will continue to focus and demonstrate the importance of diversity and inclusion both on shore and at sea."